The sugar and phosphate group make up the backbone of the DNA double helix, while the bases are located in the middle. 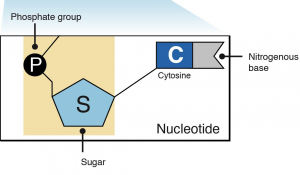 A chemical bond between the phosphate group of one nucleotide and the sugar of a neighboring nucleotide holds the backbone together. Chemical bonds (hydrogen bonds) between the bases that are across from one another hold the two strands of the double helix together. 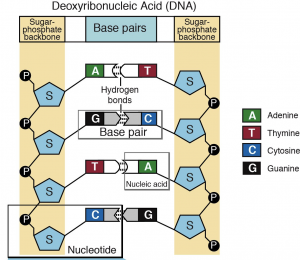 Bases are the part of DNA that stores information and gives DNA the ability to encode phenotype, a person’s visible traits. 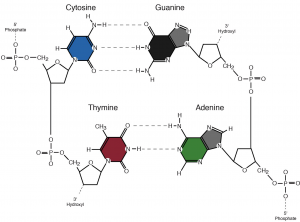 Adenine and guanine are purine bases. These are structures composed of a 5-sided and 6-sided ring. Cytosine and thymine are pyrimidines which are structures composed of a single six-sided ring. Adenine always binds to thymine, while cytosine and guanine always bind to one another. This relationship is called complementary base paring. 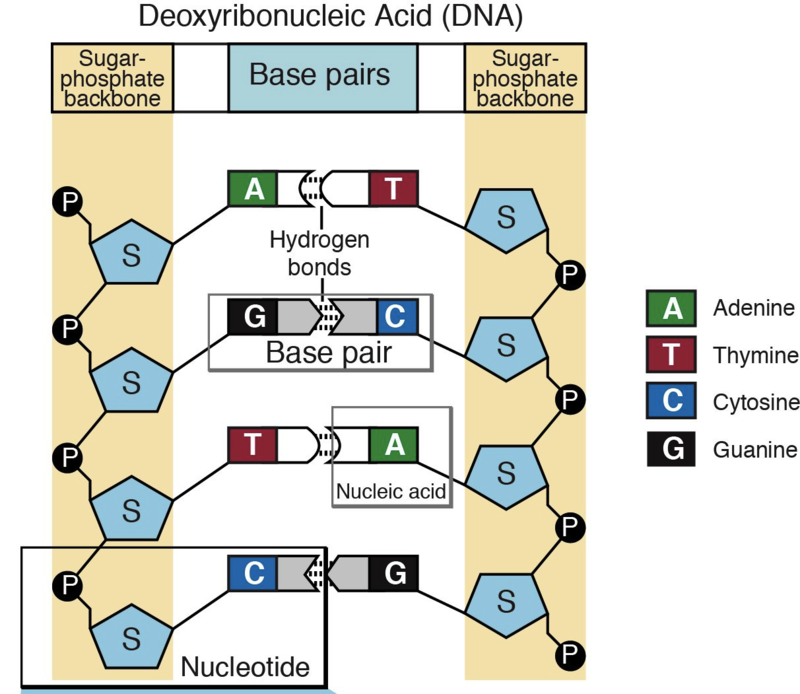 These complementary bases are bonded together via hydrogen bonds, which can be easily broken apart when the DNA needs to unzip and duplicate itself.